Availability: Special Order Free Shipping. Anatomical double bridle handmade by German Otto Schumacher. This flat profile double bridle is wider at the pole to distribute pressure over a bigger surface. The padding on the crank is bigger and softer for optimal comfort. The bridle comes as standard with the Comfort XS noseband which is a 4cm wide and tapers towards the sides. The padding is wider than on other 4cm nosebands and therefore shows more. 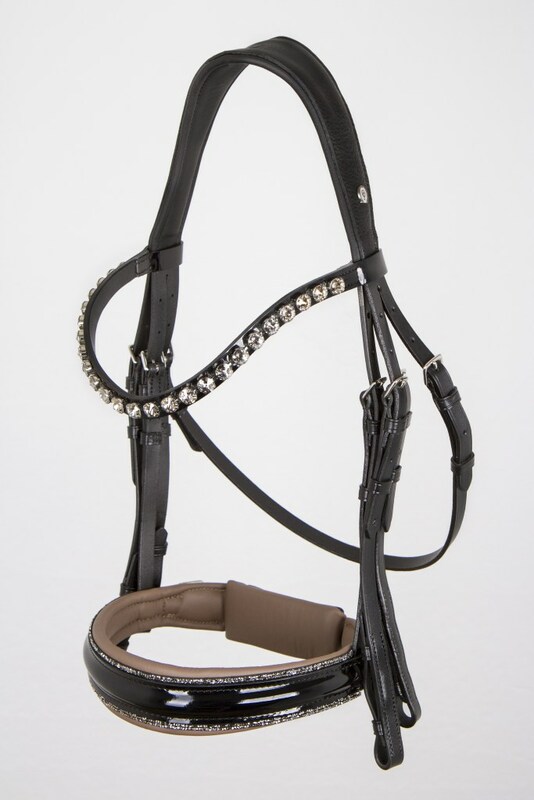 Any of the other noseband models can be chosen for this bridle. There are a ton of different options when it comes to noseband style and decoration, crystal colors and combinations for the browbands, padding color etc so you can design your dream bridle. We are always happy to help with color choices and advice when needed. Orders will be placed with Otto Schumacher once a month to collect orders and have them shipped together to save on costs. If you need your bridle quickly you can choose to have it rushed and I will place the order for your individual bridle and have it shipped by itself. There is a $60 fee for this service. Please be aware that Special Order customised bridles are non-returnable. All Otto Schumacher items are custom orders and therefore non returnable. Please make sure to measure your horse if you are in doubt what size you need. 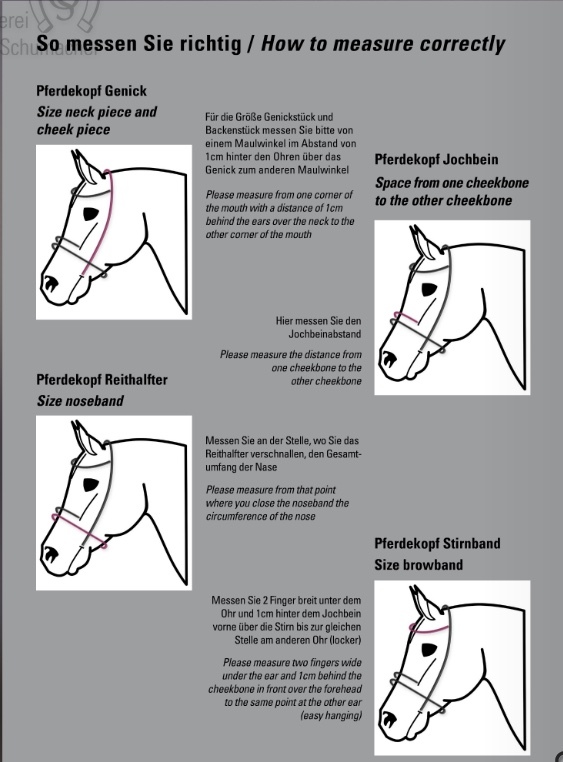 You are of course always welcome to contact us if you need help with sizing or design of your new bridle. 540 points will be rewarded to you when you buy this item. Copyright Euro Horse Designs. All Rights Reserved. eCommerce Software by 3dcart.